Should the Poor Study Philosophy? Why do people need an education? In the memorable words of Chris Farley, kids need to learn a profession, or they’ll end up living in a van, down by the river. But that’s not the whole picture. As Scott Samuelson argues in The Atlantic, education must do more than help people get a job; education should help people be more human. Samuelson raises a question at the heart of conservative educational thinking. Too often in American educational history, the sort of education Samuelson’s talking about has been reserved for an economic elite. As historian James Anderson argued in his 1988 book, for example, African Americans have been told time and again to educate their kids for the kinds of jobs they could get: laborers, maids, carpenters, doormen. It was cruel and a waste of time, well-intentioned white philanthropists insisted, for African American youth to study Latin, Greek, and higher mathematics. Such things would only expose them to a world in which they could not survive economically. There are three big reasons for this. First, it befits the leisure time of an upper class to explore the higher goods of human life: to play Beethoven, to study botany, to read Aristotle, to go on an imagination-expanding tour of Italy. Second, because their birthright is to occupy leadership positions in politics and the marketplace, members of the aristocratic class require the skills to think for themselves. Whereas those in the lower classes are assessed exclusively on how well they meet various prescribed outcomes, those in the upper class must know how to evaluate outcomes and consider them against a horizon of values. Finally (and this reason generally goes unspoken), the goods of the liberal arts get coded as markers of privilege and prestige, so that the upper class can demarcate themselves clearly from those who must work in order to make their leisure and wealth possible. there are among future plumbers as many devotees of Plato as among the future wizards of Silicon Valley, and that there are among nurses’ aides and soldiers as many important voices for our democracy as among doctors and business moguls. 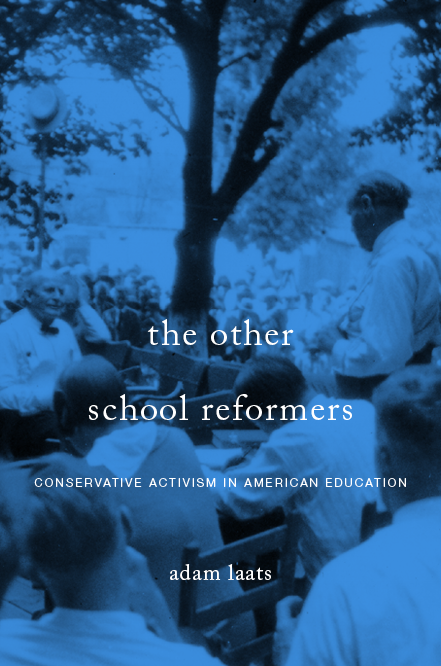 Samuelson is not making a “conservative” argument, but his essay raises questions of perennial interest to conservative educational thinkers. What does it mean to be “conservative” about education? Leading conservatives push both for traditional visions of education that expose students to the great thinkers of our tradition. But leading conservatives also fight for an education that will improve test scores of low-income students, an education that will leave no child behind. In my conservative Catholic circle, the liberal arts are very much encouraged as something that teaches you not “how to do a job”, but how to live your life: tell right from wrong, valuable from worthless, beautiful from ugly, etc. ; to know what your purpose is as a prerequisite to deciding what, specifically, you will do with your life, so that you’ll know not just what to do but also why to do it. This is put forth as the ideal for all Catholic kids, not just rich ones. Of course, this should be studied at a conservative Catholic college. If conservatives in general don’t push liberal arts for all, quite likely it’s because they don’t trust the type of liberal arts education that people will get at most modern universities. Liberal arts is thought to be the area most thoroughly permeated with liberal ideology, such that you’re better off not studying liberal arts at all, than learning them in the skewed manner in which they’re taught at most schools. Perhaps if there were more ideological balance in academia, conservatives would be more comfortable recommending a liberal arts education for all.